Community Programs provides grants to assist in the development of essential community facilities in rural areas and towns of up to 20,000 in population. 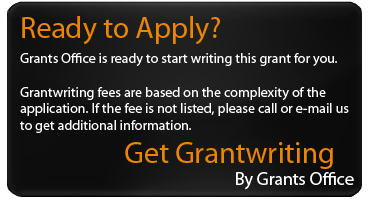 Grants are authorized on a graduated scale. Applicants located in small communities with low populations and low incomes will receive a higher percentage of grants. Grants are available to public entities such as municipalities, counties, and special-purpose districts, as well as non-profit corporations and tribal governments. In addition, applicants must have the legal authority necessary for construction, operation, and maintenance of the proposed facility and also be unable to obtain needed funds from commercial sources at reasonable rates and terms. Grant funds may be used to assist in the development of essential community facilities. Grant funds can be used to construct, enlarge, or improve community facilities for health care, public safety, and community and public services. This can include the purchase of equipment required for a facility's operation. A grant may be made in combination with other CF financial assistance such as a direct or guaranteed loan, applicant contributions, or loans and grants from other sources. The Community Facilities Grant Program is typically used to fund projects under special initiatives, such as Native American community development efforts; child care centers linked with the Federal government's Welfare-to-Work initiative; Federally-designated Enterprise and Champion Communities, and the Northwest Economic Adjustment Initiative area. Serve small communities - with the highest priority going to projects located in a community with a population of 5,000 or less. Serve low-income communities with the highest priority going to projects serving communities with median household incomes below the higher of the poverty line or 60% of the State non-metropolitan median household income. Finance recreational facilities or community antenna television services or facilities. Grants are available to public entities such as municipalities, counties, and special-purpose districts, as well as non-profit corporations and tribal governments. Applicants located in small communities with low populations and low incomes will receive a higher percentage of grants. The application process and deadline vary by region. Contact your Rural Development State Offices for detailed information and applications. For Rural Development State Office contacts visit http://www.rd.usda.gov/browse-state. The amount of grant assistance for project costs depends upon the median household income and the population in the community where the project is located and the availability of grant funds. In most instances, projects which receive grant assistance have a high priority and are highly leveraged with other loan and grant awards. Grant assistance may be available for up to 75% of project costs. Grant funding limitations are based on population and income, economic feasibility, and availability of funds.